Fun and exciting winter festivals! Heat up Korea's winter with these hot events! 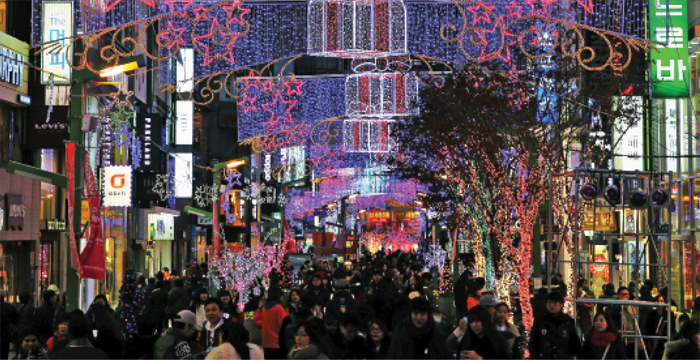 The following are special winter festivals in Korea. Don't miss out on the thrilling experiences only available in winter. The Hwacheon Sancheoneo Ice Festival has been featured on CNN as one of the "7 Wonders of Winter." It attracts over 1 million visitors each year, continuing its reputation as one of the world's four major winter festivals. 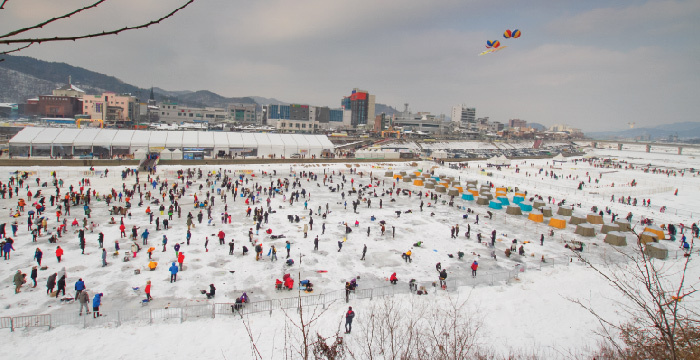 Featuring a wide variety of experiences and attractions, including mountain trout fishing on ice, a zip track stretching across the festival venue, and various snow and ice sculptures, the festival is one of Korea's top winter festivals, beloved by more and more tourists each year. When the crystalline Soyangho Lake freezes solid, this signals the beginning of the Icefish Festival featuring silvery icefish below the vast expanse of ice. 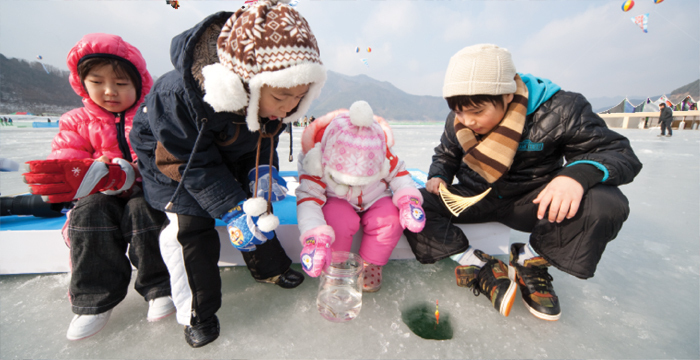 With crowds of visitors wanting to experience ice fishing, Soyangho Lake is filled with the sounds of delight and laughter throughout the festival season. 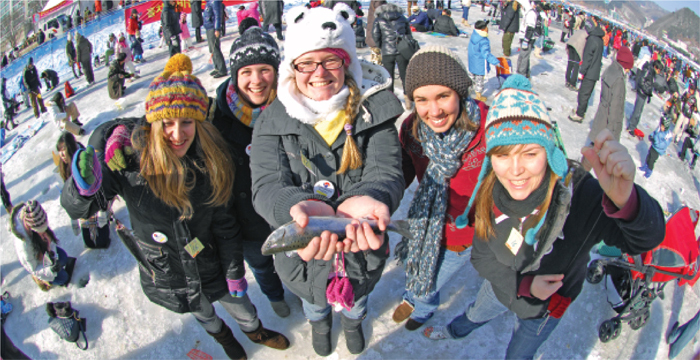 In addition to ice fishing, the festival features many unique events that can only be enjoyed in winter including icefish tasting, ice sledding, and ice soccer. Info : Ice fishing, ice soccer, ice wall climbing, ice bowling, etc. 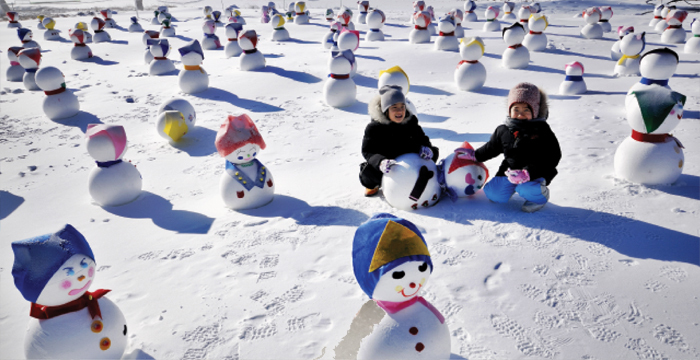 Held every winter in the snow-covered landscape of Taebaeksan Mountain, the Taebaeksan Snow Festival offers a true winter experience. Featuring magnificent snow and ice sculptures by artists, the festival is brightly lit by the smiles of tourists. 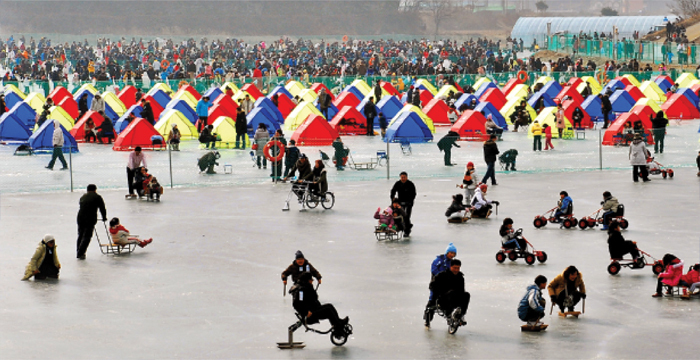 When the season of snow and ice arrives, an outdoor trout festival is held at Odaecheon Stream in Pyeongchang-gun, Gangwon-do. Pyeongchang's breathtaking views of snow-covered landscapes have earned it the nickname "the Alps of Korea." It is the perfect place to appreciate the beauty of winter while enjoying an exciting festival. The theme of the festival is "A Winter Story of Snow, Ice, and Trout." It features a variety of hands-on programs including trout fishing, sledding, and traditional sledding. Info : Trout fishing, snow sledding, snow rafting, traditional sledding, etc. Every winter, tourists flock to the frozen Hongcheongang River to catch special "ginseng trout," which were fed sixyear-old Hongcheon ginseng. In addition to ice fishing, which can be enjoyed by people of all ages, the festival feaatures a wide range of attractions, cuisines, and entertainment including bare handed trout fishing, Snow World operated by Vivaldi Park, charming views of thatched cottages, and traditional restaurants. Info : Trout fishing, bare handed fishing for ginseng trout, Vivaldi Park Snow World, winter photo zone, views of thatched cottages, ice soccer, etc. As Christmas carols echo through the streets announcing the arrival of the Christmas season, large Christmas trees and colorful lights liven up the night sky of Busan. Featuring a 20m Christmas tree, the Busan Christmas Tree Festival offers a variety of cultural performances such as NANTA and choir songs. Info : Christmas lights photo zone, wishing tree, snow time, flash mob, etc.